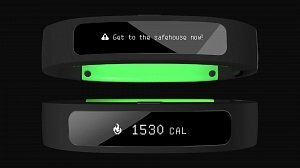 Before I begin, I just want to say that by no means is the Razer Nabu going to be the best wearable out there. Let it be known that I'm a fan of Razer products. I know... try not to give me too much flack for that. My experience with Razer has been a good one. Although their price tags are usually toward the higher end, I think it's justified by the product quality. From my Black Shark headset to my Blackwidow keyboard, Razer has always delivered quality products. This is why I decided I would give the Nabu a try (among other things like their marketing, but I will get to that later). 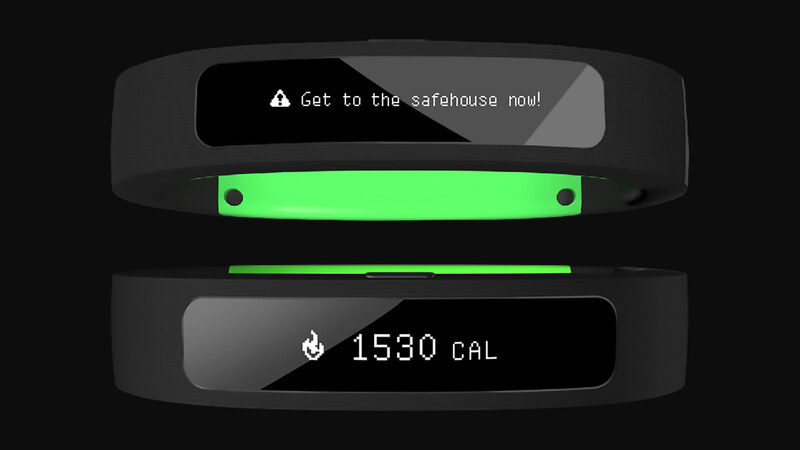 So today I pre-ordered the Nabu after waiting for like a year on development. There where a number or reasons why I chose this specific wearable. First off, was their advertising. I have seen very few marketing campaigns that have been as awesome as this one. It's as if they took notes on the movie "Zombieland" and made a product video based upon it. Needles to say, if you haven't seen it, watch the product video below. The awesome product video isn't the only reason I think the Nabu is worth picking up. The Nabu brings something to the table that is relatively new to wearable tech and that is social interaction. With the Nabu you share contact info by shaking hands with someone that also has a Nabu as well as play games that will be coming soon. That's right, no more interacting behind a screen, but in person instead. This is how I believe technology should be be advancing. I, for one, am sick of advancing technology turning people into hermits. With any luck this will get techies like myself to come crawling out of their hideaways and be more social. There is a slight problem with this though. Like many people, I wear watches on my left hand. That doesn't seem like a problem right? Well I'm also old fashion in the way I think (ironic, right?) and I will be damned if I shake someones hand with my left hand. If you are from the school of thought that shaking hands with your left hand is brave because you have to lay down your shield, then I ask why do you carry a shield? It's 2015 and we are not Ashanti warriors. So unless you are a Scout, shake with your right hand. If you're wondering what the hell that even means check out this wiki page about the Scout handshake. It's actually really interesting. Who should buy the Nabu? That's a tough one. At the $99 price point, it's definitely one of the cheaper wearables out there. For those that don't need much out of there wearable, this is great. Like most wearables today there notifications and popular apps are streamlined to the Nabu so you never miss an update or notification. Fitness and sleep tracking is also included, but at this point features like that are expected. I believe that the ideal person for this product is someone that wants notifications quicker as well as fitness tracking, but doesn't want to plunge into the higher end smartwatches that can cost a lot more than what you will spend on the Nabu. I had a rocky relationship with my last smartwatch, the Galaxy Gear Neo 2, because it just wasn't cool or useful enough at that point to make it worth the price tag. With the Nabu, I'm not expecting as much which is why I think it will exceed my expectations. These smartbands roll out in early October so when I get my hands on one (Or one on my wrist for that matter) I will give an in depth review. What apps the developers come out with for this wearable over the next couple of months will be interesting to say the least. If you are looking for a relatively cheap wearable that doesn't break the bank, then the Razer Nabu is for you. The Nabu is geared toward social interaction. While it is not certain how popular that concept will become, it's seems pretty cool. Splash proof. Not suitable for showering and submerging. Charging via proprietary USB cable. The Nabu is a cool little wearable that should end up being pretty awesome for the cheaper wearable that it is. 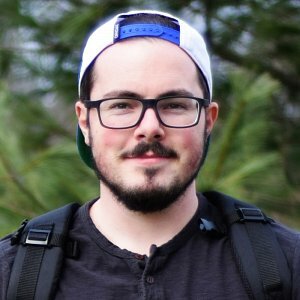 As of now, I highly recommend looking into it.